Gravel is important—it adds both functional value and eye-catching aeshetics. 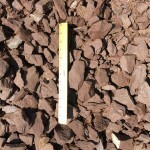 We offer pea gravel and Delaware River gravel, with the option to select a variety of sizes and color mixes. 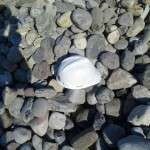 Gregs Landscaping offer a full range of gravel products. 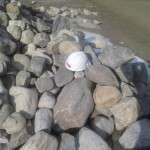 Names: River rocks, Delaware River gravel, garden stone, Del Val River gravel, decorative stone, garden gravel, river jacks, decorative gravel, blended gravel, core gravel and pebbles, as well as crushed stone or crushed rocks, even though the stones are not crushed but screened for size. 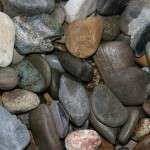 Description: River Gravel is commonly used for walkways and pathways. It can be used as filler between stones or on its own, so long as the depth is at no deeper than 2-3 inches. 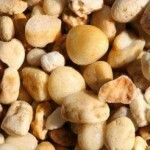 It is also used as decorative material in gardens and helps with drainage and weed control. Size: Includes 1/4” rounded stones. Color: Multi-colored blend of stones with mostly gray tones accented by other white, red, brown, beige, tan, yellow and brown stones. 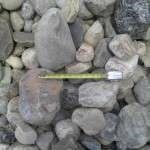 Size: Includes a mix of stones all about 3/8” in size. Color: Mix of gray, tan, white, and red tones. 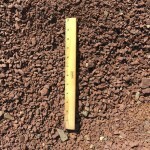 Size: Includes a mix of stones all about 3/4” in size. 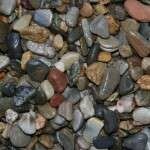 Description: River gravel can be used as visual enhancements in gardens and landscaping applications; used in walkways, pathways, driveways, patios, pool surrounds, water features, and dry riverbeds; and used to help with drainage. Size: Rounded stones all about 1″ – 3″ in size. 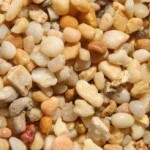 Names: River rocks, river jacks, Delaware River gravel, Del Val River gravel, river stone, garden gravel, garden stone, decorative gravel, decorative stone, blended gravel, core gravel, pebbles. Size: Rounded stones all about 2″ – 5″ in size. Size: Rounded stones all about 4″ – 8″ in size. Size: Rounded stones all about 6″ – 20″ in size. Names: Garden gravel, garden stone, decorative gravel, decorative stone, blended gravel, river gravel, core gravel, and pebbles, as well as crushed stone or crushed rocks, even though the stones are not crushed but screened for size. Description: Pea Gravel is commonly used in walkways and pathways, either as filler between stones or on its own (so long as the depth is no more than 2 or 3 inches). It can be used as driveway material and garden decoration; for patios, playgrounds, dog runs, drainage systems, weed control, and sub-surface gas tank installations. Size: Rounded stones all approx. 3/8″ in size. Size: Rounded stones all approx. 3/4″ in size. 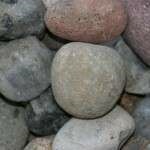 Names: River rocks, river jacks, Delaware River gravel, Del Val River gravel, river stone, garden gravel, garden stone, decorative gravel, decorative stone, blended gravel, core gravel, and pebbles. Description: Red Shale can be used to enhance landscaping designs while also providing weed control, maintaining the moisture in the soil and drastically decreasing wind and water erosion. Size: All stones are about 3/8” in size. Size: All stones are about 3/4” in size. Delivery: We are able to deliver all bulk material, gravel, crushed stone, topsoil, aggregate stone and decorative stone to NJ, PA & NY. Delivery charges are a function of the type of materials, the volume of materials, as well as the distance (from our Pennington, NJ location) to your site. Please phone us and we can discuss the particulars of your needs. For more information about pricing and delivery of gravel, please contact us. Gregs Landscaping supplies GravelBulk delivery of gravel is available in New Jersey, Pennsylvania, and New York. Free delivery for qualifying orders*.